Coke bottles in the UK are currently emblazoned with a random name picked from a hat, on the off-chance that somebody in your party might be named Wesley. But in Korea they’re more colourful. Riot Games president Marc Merrill this weekend revealed a range of Coke bottles plastered with some of League of Legends’ champions ahead of this year’s World Championships. “Coke gearing up for the League of Legends world championships!,” tweeted Merril. 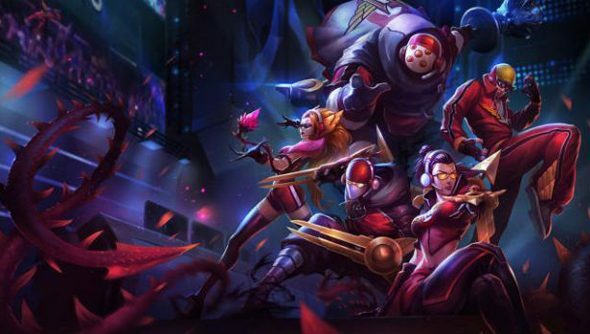 South Korea’s veneration of eSports and the games it orbits around isn’t news – but Riot really have pushed back the boundaries of crossover branding. Last year, Coca-Cola sponsored the League of Legends Challenger Series. The drinks company reckoned LoL’s primary demographic of 17-30 males means that deal “eclipsed [by] several fold” the numbers they would have reached sponsoring the Super Bowl instead. And before that, American Express sponsored the LCS Season 3 and its Staples Center final. “What this means for eSports is that we’re stepping up and saying this is no longer niche,” said American Express’ vice president of Enterprise Growth, Ian Swanson. “This is a large audience that’s strategic to our goals as a company to reach. Where should Riot set their sights next? Happy Meal champions, anyone?